Obesity can pose significant health problems, which may prompt many Canadians to seek out a range of weight loss solutions. However, no single solution works for everybody. What are the warning signs of obesity? 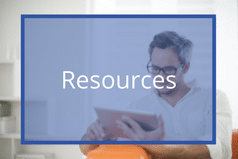 What are successful weight loss solutions? Being overweight or obese is characterized by excessive body fat, associated with a risk to one’s health. A BMI under 18.5 is considered underweight. A BMI between 18.5 and 24.9 encompasses normal weight. A BMI between 25 and 29.9 is classified as overweight. A BMI of 30 and above is identified as obese. BMI is calculated by taking a person’s weight in kilograms and dividing it by the square of his/her height in meters (kg/m2). You can find a BMI calculator here. In addition to BMI, body shape can also influence how excess weight might affect your health. In addition to the physical effects, being overweight or obese carries a social stigma that can affect people psychologically, although such effects are difficult to measure. A survey published in 2012 reported that 33% of the Canadian respondents were classified as overweight and 20% as obese. In 2017, the Public Health Agency of Canada reported that the national average of obesity may in fact be just over 28%. 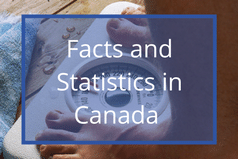 Canada’s rates of overweight and obese individuals are quite high, as is the case in most westernized countries. The global adult obesity rate stood at 13% as of 2016. The healthcare costs associated with obesity were estimated at approximately $6 billion CAD in 2010, accounting for just over 4% of Canada’s total health care budget. The Public Health Agency of Canada has identified several factors that may contribute to overweight and obesity. Canadian obesity rates vary by province and county, ranging from 18.9% or less, to 37.6% or more. Generally speaking, obesity rates have risen in Canada over the last thirty years. More men than women tend to be overweight or obese, although more women than men may fall into the more severe categories of obesity. 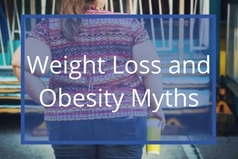 Societal factors often play a role in trends for weight gain and obesity. For example, every-day foods tend to contain refined sugar. These foods have become some of the most affordable options at local grocery stores. Sugary drinks are thought to be particularly problematic. Combining additional processed sugar in the average Canadian’s daily caloric intake with a sedentary lifestyle has produced an environment in which Canadians have gained weight at a rapid pace. A study from the University of Toronto indicates that Canadians would only need to consume 11 extra calories per day to put on an additional 20 – 30 pounds in a 25-year period. That’s the equivalent of eating a single potato chip per day. 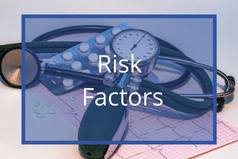 Excess weight and obesity carry with them numerous health risks that can develop over time. Committing to even a small degree of weight loss can reduce the chances of health complications related to excess weight and obesity by a significant margin. Genetics do play a significant role in obesity, predisposing certain individuals to gain excessive weight. But not everyone with a genetic predisposition for excess weight gain becomes obese. And as Harvard Academics have pointed out, genes alone cannot be responsible for the 25-40 year window in which Canadian obesity rates have climbed, seeing as shifts in the gene pool take much longer than this to develop. What has changed in this time period is environmental factors. Our physical, social, political and economic environment influences how much, and what we eat. These factors also influence how active we are. In summary, while genes may predispose certain people to become obese, it is the environment that determines how many of these people will actually become obese. 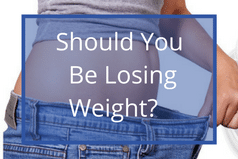 Should You Be Losing Weight? No single sign or symptom should be taken as a sign of obesity. If you are in any doubt, see your doctor who will assess your weight and make recommendations. A BMI of 30 and above indicates obesity. 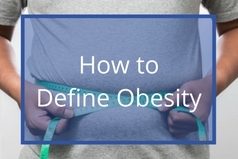 Obesity is sub-divided into categories depending on how much higher than 30 a person’s BMI is. Morbid obesity, the most extreme form of obesity, affects a subset of the obese population in Canada that is growing. People with morbid obesity may have trouble with everyday activities such as walking and breathing. Morbid obesity poses statistically higher risks of developing serious health problems such as diabetes, high blood pressure, heart disease, stroke, some cancers, and arthritis, to name a few. BMI does not exceed 39, but they are 100 pounds or more over their normal weight range. Being overweight or obese can affect childhood development negatively, especially concerning self-esteem and the ability to participate in social activities. Child obesity, like adult obesity, occurs when there is too much fat on the body. Eating unhealthy food, overeating in general, and a lack of exercise may all contribute to childhood obesity. Many unhealthy foods come disguised in the form of sugary beverages that most people don’t identify as “food,” but which still contain large amounts of calories. Children are particularly drawn to such sugary drinks. Keep an eye out for these signs associated with childhood obesity. Overall rates of childhood obesity are substantially higher than 30 years ago. However, there is some indication that the rate might have fallen slightly in recent years, based on information gathered by Statistics Canada. 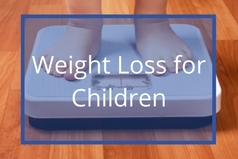 The BMI for children and teens aged 2 – 19 is calculated in the same way as adults. However, the categorization of the BMI into overweight or obese categories is different and is dependent on age and gender. This is because the amount of body fat changes as children and teens grow, and this needs to be taken into consideration. Also, body fat levels are different in boys and girls. You can use this BMI Percentile Calculator for Child and Teen to determine your child’s or teen’s BMI and weight categorisation. As a start, encourage children to drink water throughout the day in lieu of sugary drinks. Try to provide smaller portions of food to your child, and replace processed foods with healthier alternatives. Set a good example – kids will be more likely to eat vegetables and fruits if they see them on the plates of the adults around them. Ensure that your child engages in 60 minutes of physical activity every day. Encourage your child to partake in gym class at school, go for walks or bike rides during free time, and play recreational sports seasonally. Minimizing screen time may also encourage more physical activity. 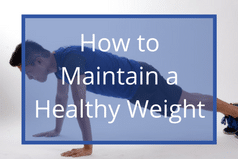 While everyone’s body has a different disposition to weight gain and weight loss, these strategies work well in preventing obesity for the average individual. By following a low-calorie and nutrient-heavy diet, you will be well on your way to preventing obesity. Plan ahead when it comes to eating throughout the day. Prepare meals that follow your healthy eating strategy. By monitoring your weight weekly, you will be more successful in keeping off extra pounds. This can ingrain immediate consequences of dietary habits. Understand the difference between sugar and sugar substitutes. Find a registered dietitian to assist in creating a healthy meal plan for you and your family. It is important to establish a thoroughly defined process for purchasing healthy food and consuming it in appropriate portions. Engaging in 150 minutes of moderate aerobic activity or 75 minutes of vigorous aerobic activity each week (or a combination of each) should go a long way towards preventing weight gain. Aim for at least 30 minutes of physical activity each day. Engaging in strength training twice per week for all muscle groups complements benefits achieved with aerobic exercise. To lose weight, you may wish to exercise up to 300 minutes each week. 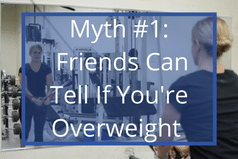 Asking friends “am I overweight?” is not likely to yield accurate results. Friends and family have our best interests at heart, but few of them are qualified physicians. And they may be afraid to hurt your feelings. Taking unqualified advice can also lead to participating in unsafe weight loss methods. For adults, the best way to discover if you are overweight or obese is to calculate your Body Mass Index (BMI) and consult a physician. If your BMI is between 25 and 29 you are considered overweight, while a BMI higher than this is considered obese. Losing one to two pounds per week is thought to be the healthiest and safest way to fight weight on your own. To lose weight faster, it is recommended that you work with a doctor. Using non-invasive methods to lose weight should always come before surgery of any kind. 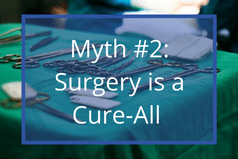 If you think you may qualify, talk with your doctor to get the facts about the risks and potential benefits of gastric bypass surgery. 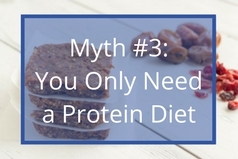 High-protein diets will make you feel more full, helping you to cut down on your food intake. They are generally safe for most healthy people, especially when followed for a short time. However, the overall effects of a high-protein diet paired with low carbohydrate consumption over longer periods are still under study. Restricting carbohydrates can lead to nutritional deficiencies. Some high-protein diets consist of eating full fat dairy products and red meat, which are risk factors for heart disease. Instead, try to get your protein in the form of soy, beans, nuts, fish, lean meats and low-fat dairy products. Finally, high-protein diets can place a strain on the kidneys. Consult your physician to evaluate the merits of trying a high-protein diet, especially if you have kidney disease, diabetes or other health problems. While a high-protein diet may help you to lose weight initially, permanent weight loss begins with an eating plan that you can maintain in the long term. Losing weight on your own is difficult. Having a registered dietician and/or certified health coach can help you navigate through the sea of commercialized fad diets. 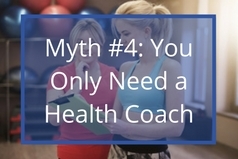 Finding a certified health coach with whom you are comfortable takes a little bit of research. Not every coach is made equal. Certified health coaches know that permanent, healthy weight loss doesn’t work the same for everyone. Make sure that your certified health coach creates a plan that works for you. Many people have a specific area where fat accumulates; e.g., on the hips and thighs or the belly. 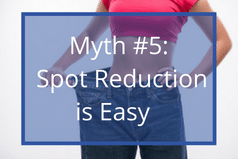 Their goal is to lose inches in those areas, without losing weight in other parts of the body – so called spot reduction. Unfortunately, spot reduction may not be possible. While exercising those areas of the body where you want to lose weight can increase strength and endurance in your muscles, it cannot cause more fat to be burned in that specific area. Fat reduction will occur throughout the body.